This summer, The Nine-Year-Old has been participating in Rahm’s Readers. It’s not her first summer reading program, by a long shot, but it’s a particularly enticing one. In exchange for reading for 500 minutes, going to one of Chicago’s museums*, and completing one building/science-y/crafty project this summer, The Nine-Year-Old received two plastic bags full of free books targeted to her grade level and a canvas tote to carry them around in. Her books this week have all come from her Rahm’s Readers free book stash. 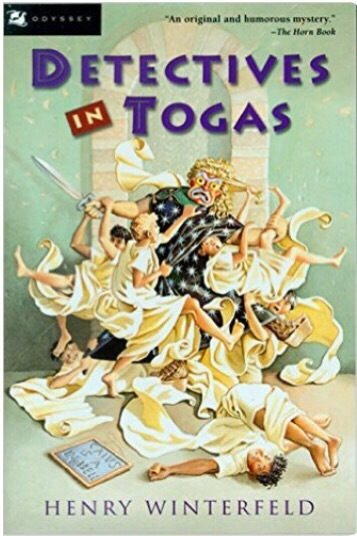 They are a smart mix of books she’d heard of, like Smile by Raina Telgemeier, books she’s excited to have found, like Detectives in Togas by Henry Winterfeld (“You would love Detectives in Togas, Mommyo!”), and books on topics most kids would be interested in, like pirates and do-it-yourself science experiments. Some of the books are brand new, while others are used library books, complete with the fancy library book covers. Watching The Nine-Year-Old plow through her treasure trove, it was hard to tell which type she liked more. The program is being run out of public libraries across the city. If you’re in Chicago, I encourage you to check it out. *Don’t forget: Most local libraries have free passes to area museums available for check out as well. 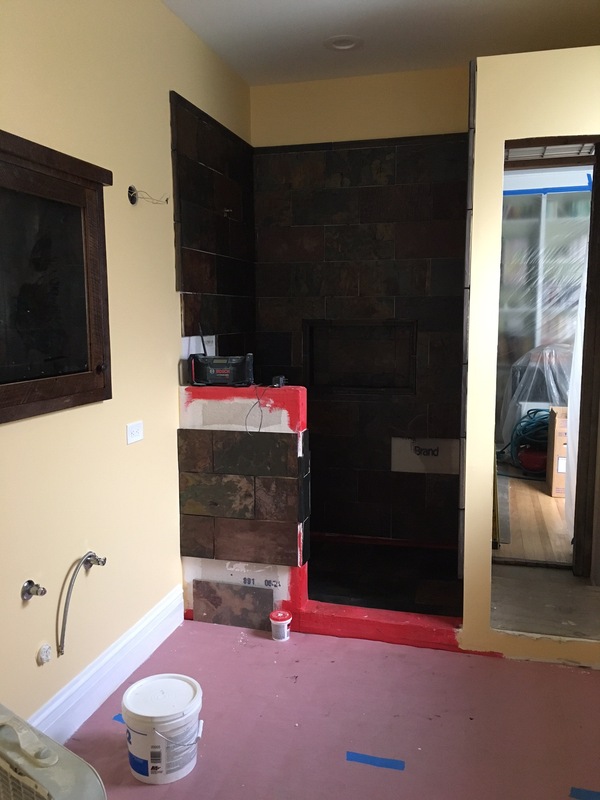 Whole lot of painting, grouting, and tiling going on. Next up: lighting, cabinets, and assorted plumbing fixtures. I am inching ever closer to getting my office (and new-and-improved bathroom) back.